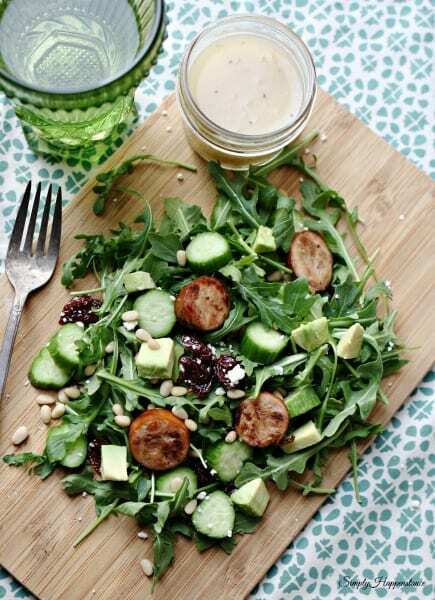 This healthful Chicken Avocado Salad comes together quickly making it an instant favorite! Have you been running around too much lately? Not thinking logically on what you are consuming because the kids are busy and you haven’t had time to think? Well, that describes my family to the T lately. We have been anticipating some minor changes to our house. We just revamped our flooring throughout the downstairs. It’s funny because it was a choice or an elective situation that we had been planning to do since we moved to our home three years ago. In that time frame we had some water damage, minor repairs, and life in general so it got put on the back burner. But just like having a baby, we forgot the labor pains, and thus are trying to catch up from the mess. That mess caused a ripple effect like life does, and we have been eating quick thoughtless meals, or dining out. It’s time to get back to the basics, and that means eating mindfully and enjoying it as well. This Chicken Avocado Salad is rustic and fresh. Oh and by the way….. it’s healthy so that is a plus! I used to think salads could be tricky. I felt like they fell along the lines of sandwiches. You know how when someone else makes you a sandwich, it automatically tastes better than if you had made it. I used to find that to be true with salads, but with a mix of simple flavors, a salad can be the featured star of any meal. That is exactly how this Chicken Avocado Salad is made. This salad entails very little prep work. The only cooking takes about 5-10 minutes. I used Trader Joe’s Smoked Apple Chardonnay Chicken Sausage. It’s fully cooked, but I like to cut them and cook them in a skillet until browned. The arugula I used was bagged, so other than that all you have to do is cut up a little avocado and cucumbers and you are done. Easy and delicious all wrapped into one. Cut up the precooked chicken sausages. Prep a skillet with 1 teaspoon of olive oil. Heat the skillet for a minute and add the chicken sausage. 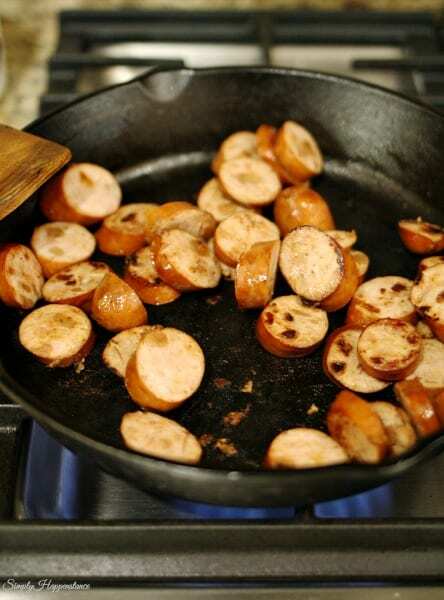 Once evenly cooked turn off the skillet and let the sausage cool. Wash the arugula salad, cucumber. 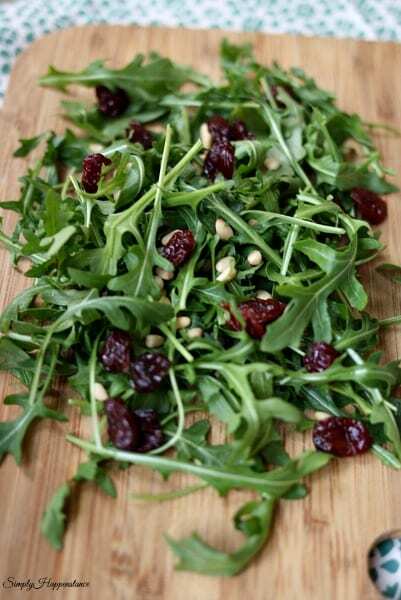 Place the clean arugula salad unto the base of a large salad bowl. Cut the cucumbers and avocado into cubes and set aside. 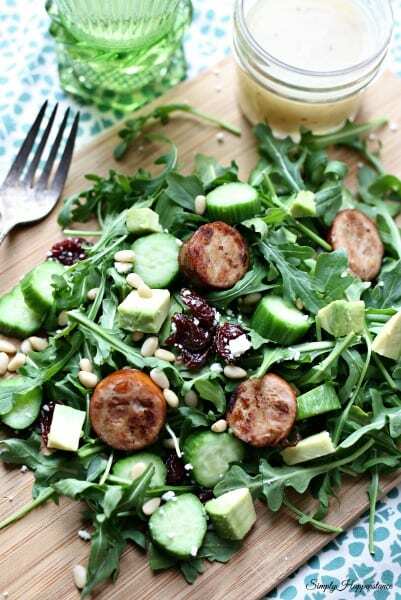 Add the sausage, cucumber, pine nuts, and dried cherries. Add the feta and avocado. Drizzle the White Balsamic Vinaigrette over the mixture.